The Slightly Dangerous earrings are hand made in Colorado by former Marine Jerry Moran using new and repurposed aircraft aluminum and other materials. 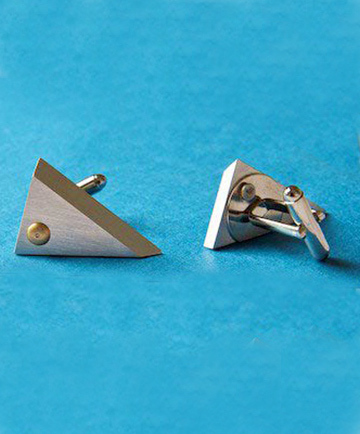 The cufflinks measure approximately 1"x5" and are made with light weight Aircraft Aluminum, AD Rivets and Silver. The Slightly Dangerous earrings by Criffin Designs are named after nose art that is featured on many WWII aircraft.